Earth & Turf Procucts, LLC, announces a new 3-Point Dump Cart for compact tractors that fits category I 3-point hitches. This Earth & Turf Dump Cart has box dimensions of 42 inches Wide, 31 inches long, and 11 inches Deep. Its Overall Height to the Top Link Connection is 24 inches . Capacity is 8.75 Cubic Feet, and its Weight (Empty) is 125 Lbs. 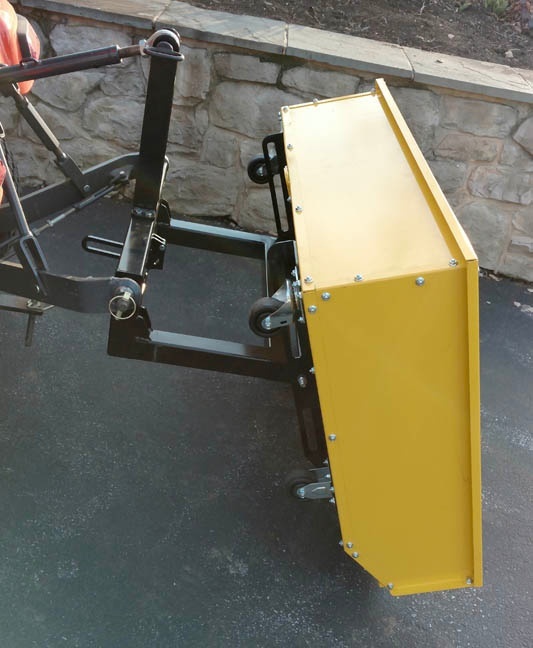 The Dump Cart moves on 3-inch caster wheels. The cart has a weight capacity of 800 lbs. And can be moved easily on smooth surfaces either empty or with a load.